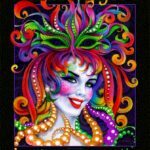 Mardi Gras Posters – We LOVE Mardi Gras. It’s one of our favorite times of year. Parades for weeks and a Fat Tuesday grand finale. Dressing up in costumes, catching beads, cups and trinkets. Kids love it. Adults love it too. Just check out the French Quarter on Mardi Gras day to find out. 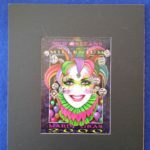 Celebrate and remember Mardi Gras by picking out your favorite print for your home or business and bring Mardi Gras to your hometown. And don’t forget…we ship FREE MARDI GRAS BEADS with EVERY ORDER!